Rysa Walker wins the Amazon Breakthrough (YA) novel award and is given a $50,000 advance. Another sell: Harvester by Rachel Russell. Are you curious about The Coldest Girl in Coldtown? A free preview edition will be released in August. Jodi Meadows is releasing a prequel, Phoenix Overture, before the release of the final book, Infinite, in the Incarnate series. Railsea by China Mielville won the 2013 Locus Award for Young Adult Literature. After The Dark Artifices and The Mortal Instruments come to a close, Cassandra Clare may release another Shadowhunter series called The Wicked Powers. It's not just the sale of e-books that's growing: audiobook revenue climbed 22 percent in 2012. 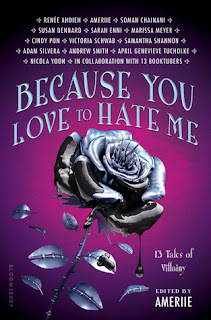 Coverage for the Openly YA tour. Did you get to see any of these authors? Google is considering e-book rentals. The Penguin Random House merger is complete. How Simon & Schuster dreams up home grown series for younger readers. Hachette Book Group acquires the Hyperion Adult Imprint. This will not affect Disney-Hyperion prints. A manager of an independently owned children's book store answers some questions. Amazon sales keep rising... what surprises me: Amazon is getting a phone?!? The ring of plagiarism that was discovered after the Jordin B. Williams scandal. What can we learn from children's writing? Can Booklikes become the next Goodreads? What I am more interested in: are people willing to leave GR given the Amazon take-over? Will New Adult grow into different genres or is it strictly going to be contemporary romance? Interesting, because it's from an agent's perspective. A podcast focusing on the breakneck pace of NA's emergence, the future for NA, common criticisms of the genre/category, and recommendations for readers wanting to test the New Adult waters from agent Suzie Townsend and authors Lisa Desrochers and Cora Carmack. A post on meeting authors at conventions/events and giving them the benefit of the doubt. Is the Grisha trilogy the successor to the Harry Potter throne? Book Girls Don't Cry: Favorite Reading Spots/Reading Life/Reading Habits from Amy, Giselle, and Jenni. Jenni of Alluring Reads wants to know where the parents are in YA lit. Gillian of Writer of Wrongs discusses the absolute terror of the final book in a series. The Compulsive Reader on how to take your online presence offline. 25 Things you should know about YA Fiction from Chuck Wendig. 30 Favorite Book Characters parents say their kids love. I personally was a huge fan of Amelia Bedelia. If you live in Boston, go meet up with your fellow bloggers. Looking for an alternative to the Google Reader? Here is an article that highlights your options. And here's another one too. PS: Cover reveal of Sekret by Lindsay Smith. Missed this one when rounding up. The Fault in Our Stars will begin filming on August 26th. New clips from The Mortal Instruments movie as well as a new photo shoot with Lily Collins. The Heist Society (by Ally Carter) adaptation now has Elizabeth Banks as its producer. Tim Burton is going to direct the adaptation of Ransom Riggs' Miss Peregrine's Home for Peculiar Children. It's rumored that Julianna Moore will represent President Coin in Mockingjay. The Fallen (by Lauren Kate) adaptation has begun filming. The Maze Runner (by James Dashner) adaptation now has a logo. Paramount acquired the movie rights to The Testing by Joelle Charbonneau. The new trailer for Catching Fire will debut at Comic-Con. Jen of YA Romantics is starting a Summer giveaway hop. YA author Eve Silver is offering up some anticipated ARCs. Until July 9. YA Books Central has listed its giveaways for the month. Stuck in YA Books: My Life Next Door by Huntley Fitzpatrick. Until July 5. Alluring Reads: Undercurrent by Paul Blackwell. Until July 6. Xpresso Reads: The Well's End by Seth Fishman. Until July 5. The Midnight Garden: In the After by Demitria Lunetta. Until July 16. Cover Madness giveaway hop from Giselle of Xpresso Reads and Jenni of Alluring Reads. Until July 15. ARC of Horde by Ann Aguirre. Most featured book: I'm seeing Faking It by Cora Carmack everywhere! And well, this goes hand in hand with my Recent Recommended Read because... drumroll, please! I loved Faking It. I liked Ms. Carmack's previous novel, Losing It, but I loved Faking It. Yep, you read correctly. There are some New Adult novels that I actually like. Both books have got great humor and are fun contemporary romance reads. Carmack's style actually reminds me of that of Stephanie Perkins, so give them a shot even if you're unsure of New Adult. Ooh a new Ally Carter series, I know so many people who love her work. I have a few of her books but have yet to read any of them. Thanks for all the info! And thanks for the shout outs lady! Thanks, Giselle! I am definitely looking forward to the Coldest Girl in Coldtown - I think your review is at the top on GR; I remember it made me that much more excited for the book. I do think that NA will expand beyond contemp, even if it's the leading genre, just because NA had a huge growth spurt to begin with.. why not take it into another genre? And re: BGDC, of course! You all consistently post fun discussions, so I'll continue to link here :). I've read a few Ally Carter books - Heist Society and Gallagher Girls #s 3, 4, &5, which were pretty entertaining - but am like you otherwise. If we both own some of the books, maybe we should read 'em soon :). And of course! As I wrote to Giselle, you and the BGDC gals consistently post fun discussions, so I'll continue to link here :). I love that audiobooks are becoming a thing. I don't know how I'd ever get to half the books I do if it weren't for those. Glad to see the sales rising for those...maybe my library will start carrying some! :D Thanks for all the links!